A Mississippi lawmaker has apologized for saying Louisiana leaders should be lynched for removing Confederate monuments. Republican state Rep. Karl Oliver of Winona had said in a Facebook post that the destruction of monuments is "heinous and horrific." He accused Louisiana officials of acting in a Nazi-like fashion. "The destruction of these monuments, erected in the loving memory of our family and fellow Southern Americans, is both heinous and horrific," Oliver said in a post Saturday night, which was removed from his page Monday. "If the, and I use this term extremely loosely, "leadership" of Louisiana wishes to, in a Nazi-ish fashion, burn books or destroy historical monuments of OUR HISTORY, they should be LYNCHED! Let it be known, I will do all in my power to prevent this from happening in our State." The post was made after three Confederate monuments and a monument to white supremacy were removed in New Orleans. Oliver issued a statement Monday apologizing. "I, first and foremost, wish to extend this apology for any embarrassment I have caused to both my colleagues and fellow Mississippians," Oliver said. "In an effort to express my passion for preserving all historical monuments, I acknowledge the word `lynched' was wrong. I am very sorry. It is in no way, ever, an appropriate term. I deeply regret that I chose this word, and I do not condone the actions I referenced, nor do I believe them in my heart. I freely admit my choice of words was horribly wrong, and I humbly ask your forgiveness." Oliver is a funeral director and first-term lawmaker who represents a district that includes the tiny town of Money, where black teenager Emmett Till was kidnapped before being lynched in 1955, allegedly for whistling at a white woman in a grocery store. Till was from Chicago and was visiting relatives in Mississippi. His disfigured body was pulled from the Tallahatchie River, and his mother held an open-casket funeral in Chicago. Outrage over his lynching helped spark the civil rights movement. Lynching was used in Mississippi and other states not only to kill people by hanging but also to intimidate African-Americans who sought equal treatment under the law. Oliver's post drew bipartisan criticism in Mississippi. Gov. Phil Bryant and House Speaker Philip Gunn, both Republicans, condemned Oliver's post. "Rep. Oliver's language is unacceptable and has no place in civil discourse," Bryant said in a statement. Gunn said he heard about Oliver's Facebook post late Sunday and called Oliver early Monday and told him to apologize. "I was just shocked. I was dismayed. I was disappointed," Gunn told reporters Monday at the Capitol. "The first two words out of my mouth and my statements are `I condemn' his statements. That's the strongest word I could come up with is condemnation. If there's a stronger word, I'll keep searching for it." Gunn said Oliver's remarks "do not reflect the views of the Republican party, the leadership of the House of Representatives or the House as a whole." 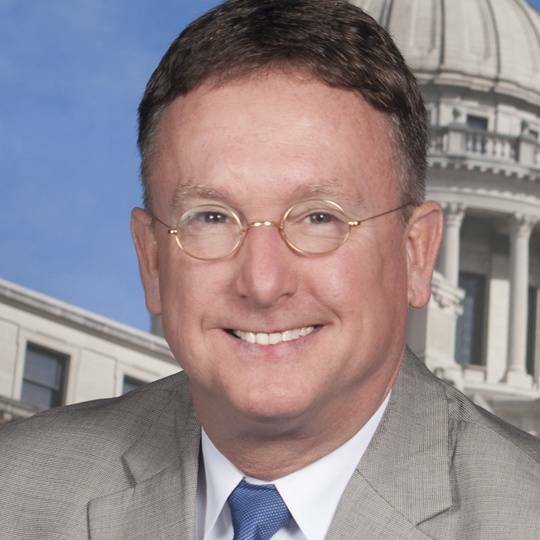 The chairmen of the Mississippi House and Senate Democratic caucus - Sen. Bill Stone of Holly Springs and Rep. David Baria of Bay St. Louis - issued a joint statement condemning Oliver's post. "The use of such inflammatory rhetoric in the context of public discourse is repugnant and does damage to the considerable advances that have been made in healing wounds caused by state-supported racism of the past," the Democrats said. "In 2017, no elected official in the State of Mississippi should be speaking in this manner regardless of any strongly held opinions concerning Confederate statues."